For three centuries, our family has made our way of life in the rolling landscapes of Fauquier County, Virginia. We have proudly served as stewards of the Virginia Piedmont, a unique and special place enriched with cultural significance of sweeping historical importance. We invite you and your families to share these pastoral meadows, primordial forests, and gentle slopes lined with lush vineyards that we have called home for generations. Virginians have long identified themselves with the vine, have recognized its importance, and have consistently promoted a viable wine industry. As Virginians, grape and wine production is part of our collective cultural identity and heritage dating back as early as 1619 with the adoption of the Twelfth Act of the Original Acts of the Virginia General Assembly that required every landowner to plant and maintain ten vines. Today, what was once a dream of a few Founding Fathers has now become a reality for all to share and enjoy. Wine in moderation is an integral part of our family’s heritage. At Philip Carter, our history is wine, and our future is to promote the gracious way of life through wine, art and culture. 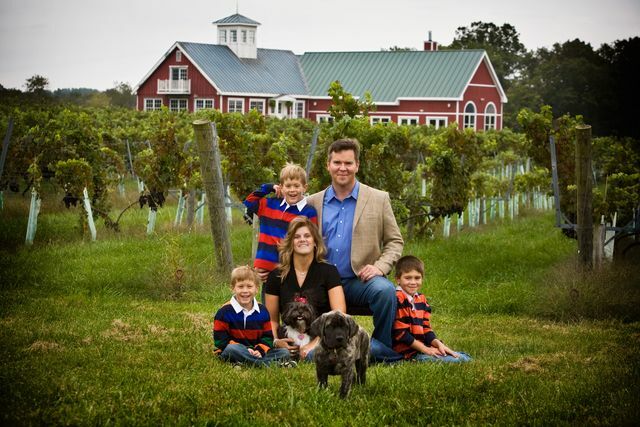 Philip Carter Winery offers the absolute perfect way for each and every person to enjoy the unique terroir and breathtaking beauty of Fauquier County. From a romantic walk through the Philip Carter vineyards to an elegant winemaker’s dinner in our grand Cleve Hall or the perfect personalized, private group tasting in our King Carter suite overlooking the vineyards, our incredible family winery is sure to satisfy!